Enjoy deep cleaned fresh and healthier carpets & upholstery for home and business. Removal of stubborn stains - tea, coffee, wine, make-up, candle wax, chewing gum, gloss paint etc. Dryfast Cleaning is your local Professional Carpet & Upholstery Cleaning Service in Coatbridge covering Lanarkshire & Glasgow areas, specialising in carpet cleaning, rug cleaning, curtain & upholstery cleaning for residential and commercial customers. At Dryfast Cleaning we understand that carpets, upholstery and other soft furnishings are precious and expensive items in any home or commercial premises, so when it comes to their professional cleaning and care, we offer only the best. Having your carpets and rugs professionally deep cleaned & deodorised will extend their life expectancy considerably, in addition to keeping them hygienic and looking good. At some time in its eventful life, your delicate upholstery & curtain fabric will require professional cleaning, some more frequently than others. Owned by Paul Bulloch, a family run business for over 10 years. We have the equipment, training and experience to safely and efficiently clean all types of carpets, rugs, curtains and upholstery. Why choose us as your Carpet and Upholstery Cleaning Service? Professional. Reliable. Fair and Honest Pricing. 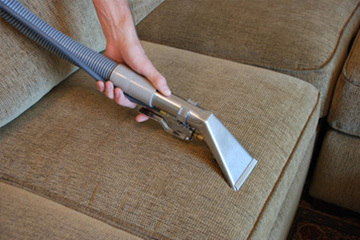 Deep & thorough cleaning of all carpets, rugs, curtains and upholstery including Leather. Specialist stain & odour removal, tea, coffee, wine, make up, candle wax, gloss paint, ink, pet stains/odours (anti-bacterial) etc. Leaves no dirt attracting residue. No rapid resoiling. 100% safe for kids, pets & allergy sufferers. Quick drying for carpets & upholstery. Members of the National Carpet Cleaners Association, your assurance of proven professionalism. Comprehensively Insured for your complete peace of mind. 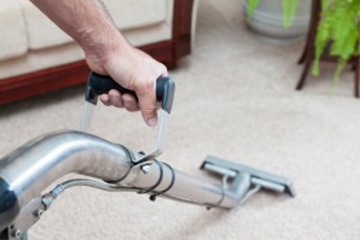 Our services include specialist cleaning for carpets and rugs, and for curtains and upholstery. Areas we cover - Coatbridge, Airdrie, Cumbernauld, Baillieston, Hamilton, Bothwell, Bellshill, Blantyre, Motherwell, Wishaw, East Kilbride, Cambuslang, Rutherglen and other areas around Lanarkshire & Glasgow. Had my large rug cleaned by paul because of a large coffee stain. He did a great job . Stain gone. Well done Paul, no hassle and made sure everything was perfect before he left. A company I would recommend thank you. Had living room carpet cleaned last week. It was much needed. Must say I was impressed by Paul. Carpet came up perfect. Would certainly recommend this service. Paul from Dryfast Cleaning arrived as scheduled to clean my Suite & Lounge Carpet which was much needed, they both came up brilliant, very pleased with overall service, highly recommend. Would highly Recommend Paul excellent work carpets and suite like new delighted with them.